Samsung’s Galaxy S10 will launch in exactly one month from now. The Korean tech giant is rumored to introduce several upgrades with the smartphones, all of which combined will give them a distinct look and feel over the rest of this year’s gadgets. 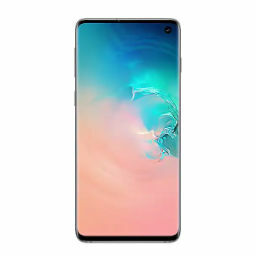 One important feature on the S10 smartphones will be their Infinity-O display panels, as Samsung will move forward a generation in design without equipping its smartphones with a notch. 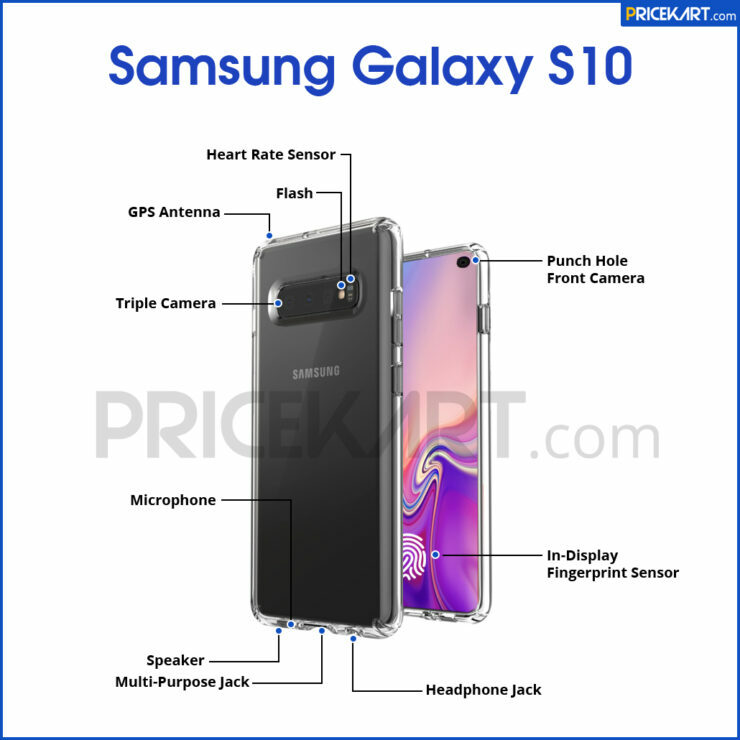 Now, we’ve got alleged renders for the Galaxy S10 lineup that not only corroborate earlier leaks but also provide additional details about the smartphones’ design. However, since its source is unreliable, we’d advise you take this information with a grain of salt. With this in mind, head over below for more details. So far, the rumor mill suggests that Samsung will launch three S10 smartphones next month. 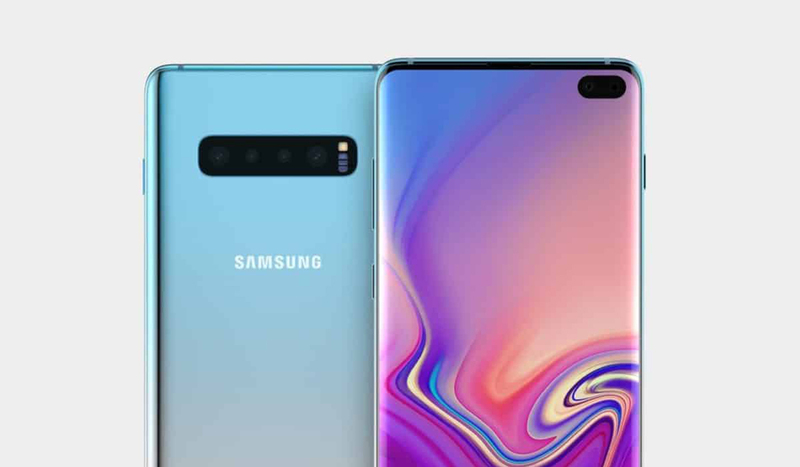 These devices are dubbed as the Galaxy S10 Lite (or S10E), Galaxy S10 and Galaxy S10 Plus. Additionally, reports have also claimed that a fourth variant dubbed as ‘Beyond X’ internally will also see the light of day. This gadget will feature four camera sensors on its back and it will also be capable of supporting 5G. In today’s leak, this device is absent, and we only get to see details for the three S10 devices mentioned above. The report pretty much corroborates everything that we’ve seen surface so far on the rumor mill. These three images show that while the S10 Lite will feature a physical fingerprint sensor, its larger counterparts will have ultrasonic fingerprint recognition. The images also show a 3.5mm earphone jack on all the Galaxy S10 smartphones. 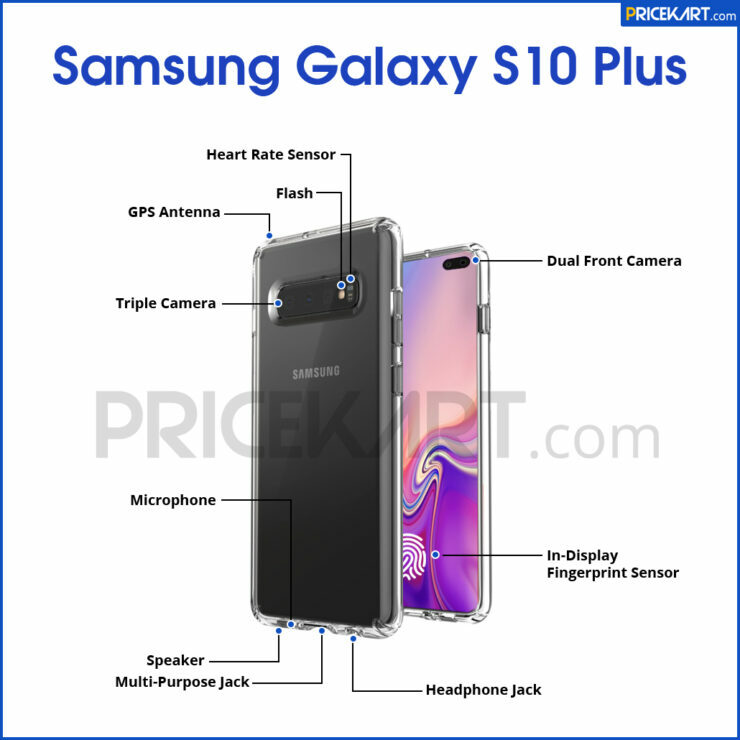 Additionally, they also seemingly confirm that while both the Galaxy S10 and S10 Plus will feature a triple rear camera setup, only the S10 Plus will feature a dual front camera setup. Furthermore, all gadgets will have a similar frame with a similar configuration of buttons. However, the S10 Lite will not have a heart rate sensor at its back. 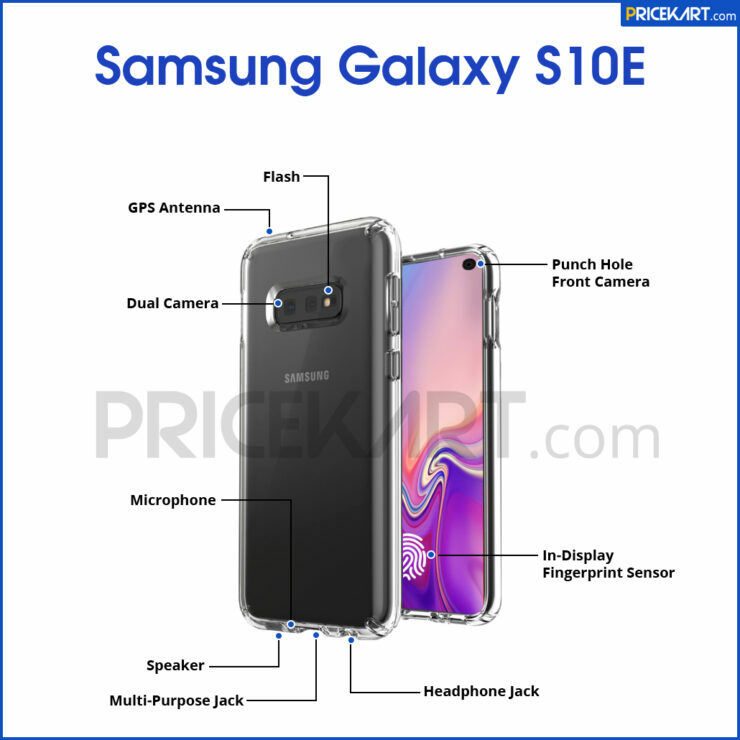 As we head near to the Galaxy S10 launch, it’s becoming clear that the upcoming smartphones will have clear advantages over the competition. The ‘make-it-or-break-it’ feature for the S10 will be ultrasonic fingerprint recognition. We don’t believe that Apple will introduce such a feature on the iPhone, and if Samsung can make this specification usable and durable, then expect the upcoming flagships to have a strong ‘edge’ over others.